There seems to be a pub on every corner in London. . .but after stepping inside any number of them, we decided they weren't what we wanted. We wanted character - the step-back-in-time sort of place that made you feel you were in Jolly ol' England. Some were quite modern on the inside and one - to my horror - looked like a designer for a US-based burger chain had designed its interior. 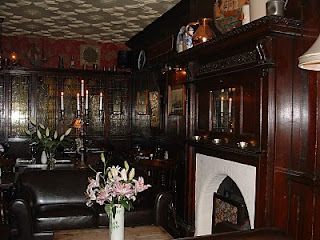 So we kept searching for our 'perfect pub'. 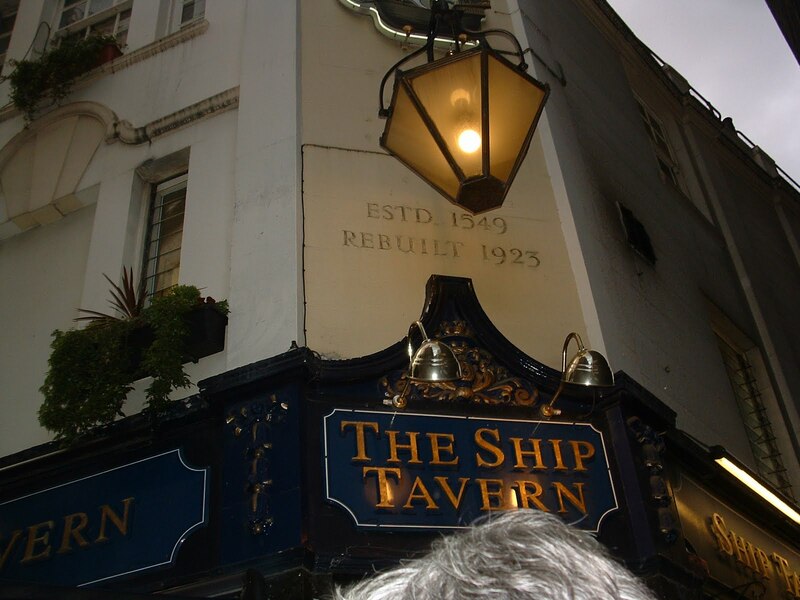 We were ready to admit defeat when we recalled the recommendation from one of the hotel staff - he'd suggested The Ship Tavern at 12 Gate Street (within a block of our hotel) and just off High Holborn. As we approached we saw that it was so jam-packed with the local after-work crowd that they stood on the street outside its entry - that's one of their heads in the photo. Good sign. Noting that it had served 'quaffable ales and fine fayre' since it's beginning in 1549, we figured it had the history. (And what history! Click on the link and read about some of the things that happened here). When we saw the wood paneled, candle-lit upstairs dining room, we knew it had the character. We had arrived at our perfect pub. And then eating one of the best - and biggest - plates of fish and chips and smushy, minty green peas, we confirmed the grub was great. 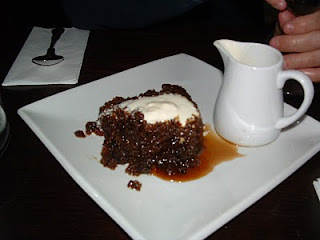 So overcome with food and atmosphere, we couldn't resist eating even more and tried English pudding at its finest for dessert. That white stuff is cream, pure cream from the pitcher. . .need I oink more?